← SPECIAL GIVEAWAY: Download free book – one day only! We had a turnout of all ages at today’s reading and book signing at Streator Public Library, from toddlers to fifth-graders, parents, and a local 15-year-old writer who stopped by to talk about the book series she’s writing. Our group included home school students, preschoolers, and public school kids. All in all, a great mix of reading levels and school experiences. One of the highlights of the day was a visit from a teacher from Joliet, who already owned a copy of the book and read it aloud to her first-grade class. Her students wrote letters to me, which she will mail this week. I’m looking forward to reading and responding! 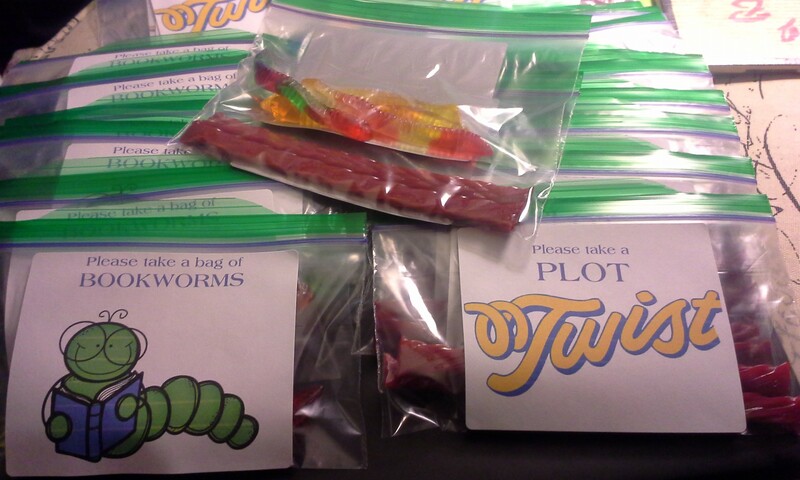 The highlight for the kids (and a handful of the adults) seemed to be the special treat … bags of “book worms” and “plot twists” (a.k.a. gummy worms and Twizzlers). They may have upstaged the book! The day was divided into three hourlong sessions that featured a brief reading followed by a book signing. At the end of the first session, four of the kids joined me for a photo opportunity (the girls were a bit camera shy, but the boys flashed big grins). 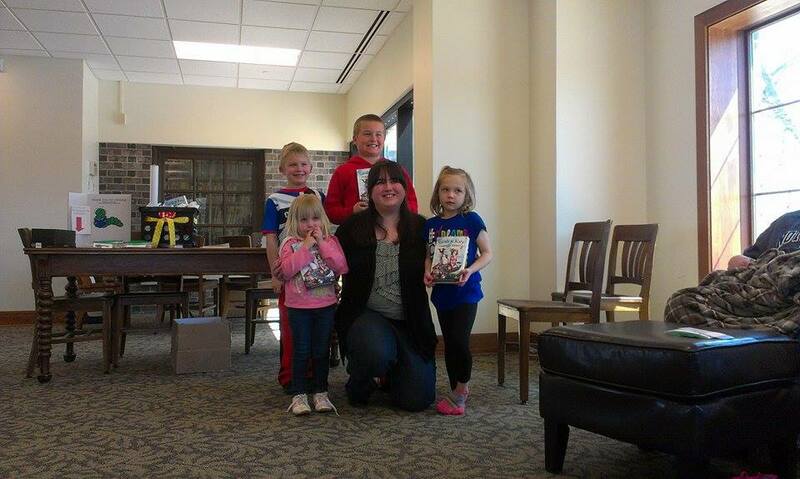 Meeting the kids and parents is the best part of book signings. It’s always a pleasure to see the many new faces, plus some familiar ones.